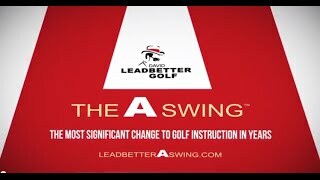 Short Description: Presents a guide to perfecting the alternative swing in golf that, with practice, will help improve accuracy and distance while providing less strain on the body than other swings. Presents a guide to perfecting the alternative swing in golf that, with practice, will help improve accuracy and distance while providing less strain on the body than other swings. DAVID LEADBETTER is regarded as the world's premier golf instructor. His players have won a combined 18 major championships and six of those golfers were ranked No. 1 in the world. He operates dozens of golf academies around the globe and has authored several bestselling instruction books and videos. His books include "Leadbetter's Quick Tips "and "David Leadbetter 100% Golf." David writes monthly articles for the game's leading publication "Golf Digest." He lives in Orlando, Florida. RON KASPRISKE is a longtime editor at "Golf Digest" and has written five books on the game."